These lovely songs are suitable for a beginner violinist or violist – simple, yet affecting pieces, that are rewarding to play. They do not go above 1st position for the left hand. Alma Clarke was born in British Columbia, Canada, in 1897, and died in 1935. She was first a violinist, and then became a professional pianist. She and her third hsusband Frank Rattenbury moved to Bournemouth, UK, in 1930, and there Alma started to compose under the pseudonym Lozanne. Some of her songs were published by Keith Prowse, and performed by the famous tenor of the time, Frank Titterton. 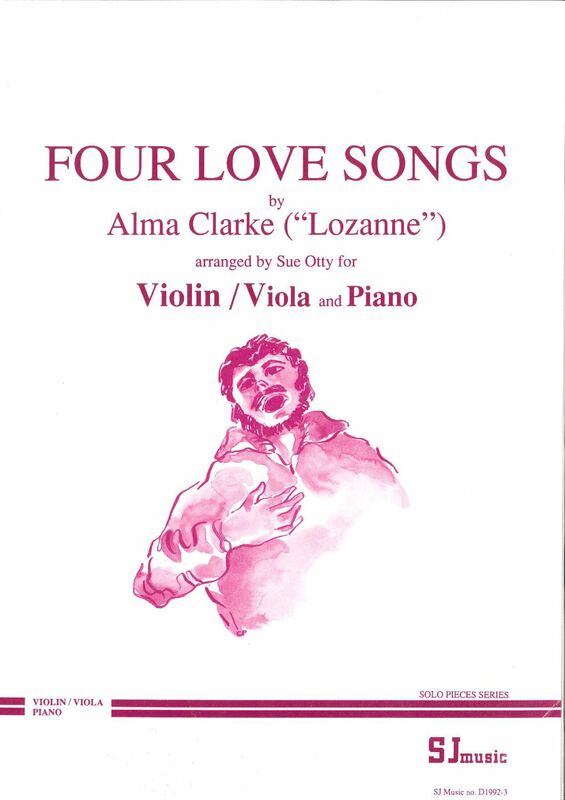 Four songs have been arranged by Sue Otty for violin or viola and piano: You brought my heart the sunshine; Dark-haired Marie; Night brings me you; Avelette.